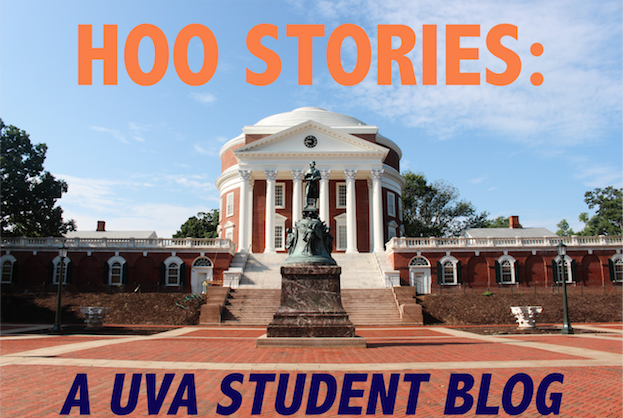 At the beginning of this semester I was in the period as a first year where I was desperate to try to find activities that I would find most rewarding to participate in during my time at UVA. I signed up for Madison House without much background knowledge of what to expect. I figured it was something I could try for a semester and if it didn’t work out, no big deal. Officially, Madison House is an organization that offers a variety of community service opportunities to students at UVA. Volunteers can help in areas ranging from day care and after school tutoring to animals & environment and athletics. I had attended countless interest meetings for organizations and groups around grounds and was still unsure of what sorts of things I wanted to pursue while not in class. My first time as a Madison House volunteer was the first experience I had a UVA where I was sure I had found an activity that I wanted to stick with. I came from a high school where volunteering was a highly important part of the academic community. I was a tutor for multiple honor societies as well as for my school’s writing center. I have enjoyed tutoring in the past not only because it genuinely feels good to help someone, but also because it helps my own communication skills. Since this was an activity I wanted to continue while in college I signed up through Madison House to help with the PLAY: After School Activities program at Jack Jouett Middle School. I have enjoyed this program most of all because I have been able to work with the same groups of students each time. The environment is very relaxed. The students can choose to work on whatever they wish during their time with the tutors. I have helped students of all different levels with math, science, history and language arts. In addition homework help, volunteers occasionally also participate with students in activities like outdoor basketball. The students are fun to work with and seem to legitimately look forward to working with the tutors. If tutoring isn’t really your thing that’s totally okay. Madison House offers a variety of outlets for volunteering. I know of other students who have worked at the UVA hospital and in the Adopt-A-Grandparent program, both through Madison House. Signing up and joining a carpool is incredibly easy and worth your time if you want to find a way to volunteer. Although my time this semester is coming to an end I look forward to signing up again and continuing my time with this organization. With the start of another semester comes another set of lab kits to buy and papers to avoid writing, at least for us Toolies in UVa's Engineering School. For those of you who haven’t read my blog posts before, I’m Steph, a 3rd year Computer Engineering and Computer Science double major from Northern Virginia. If you’ve read up on the Computer Science (CS) majors offered at UVa, you’ll know that CS is offered in both the College of Arts & Sciences and the Engineering School. I hate writing papers, not to mention that it aligned better with my second major, so I chose to complete the Engineering school requirements. That’s one of the biggest differences between the College and the E-School: I don’t write papers, I go to labs. Thursdays are usually pretty rough for me, as that’s when I have two labs scheduled, so I have class basically all day. I usually wake up around 8:30, get ready and head to Bodo’s to get some food to tide me over for the day, because having lots of labs usually mean you don’t have time for a lunch break…unless you’re much better at setting your schedule that I am! After devouring that delicious Bodo’s, I’ll head over to the basement of Thornton Hall’s E-Wing, where the first of my two labs is. It’s a little relaxing, because we just build circuits that we designed before the lab started, but can get stressful towards the end of the lab time if the circuit isn’t working. Either way, you make a lot of friends pretty quickly and, if you’re lucky and have a super awesome TA (like one of the TAs below! ), get to sing along to whatever music is playing that day. CS 1110 TAs doing what they do best: Eating! Once that lab is over, I get to go to a different basement (most of the lab spaces are in basements because it’s easy to move the equipment there) and run my own lab! I’m a TA for CS 1110: Intro to Programming, so I run a lab activity in Java every week. The class is required for all engineers, so it’s usually first years wanting to get the class out of the way, but occasionally we get lucky and get random fourth years looking for a class to fill their schedule. We try to design the 1110 labs around the current homework assignment, so this week’s lab is called “Target Practice,” and everyone gets to write code that makes targets appear randomly on the screen that disappear when you click on them. Their homework is to make a Zombie game, where a little girl figure follows the mouse, and zombies follow her, so it’s a good start to some of the code that they need for that project. After 1110 is over, I have one more class, and this one is basically just a problem session. Most professors believe that the best way to learn engineering is by doing problem after problem, so they teach the concepts as they go through different examples. Notice that nowhere in my day did I mention an essay or having 100 pages of reading to do for a class? Yeah, engineering is pretty nice sometimes. But in reality, engineers and College kids tend to think that they’re super different…but that’s entirely not true. Both have clubs to go to, meetings to run, meals to eat, and football to watch! Engineers just tend to do more of their homework in groups…while hiding in some study room in the Engineering School at 2 AM. So don’t be surprised if you don’t see your engineer friends all that often. My name is Will Chisom and I am a first-year in the College of Arts and Sciences. Currently, I am deciding between pre-med and pre-comm. I am from Roanoke, Virginia and I grew up playing golf and soccer. Coming to UVA I was not sure how often I would be able to continue playing these sports. Intramural sports provide an opportunity for me to continue my athletics and even pick up new sports that I would never have played otherwise. There are multiple leagues in most of the sports. Take soccer for example, there is women’s, mixed gender, men’s, and fraternity as far as I am aware of, it is possible that there are even more. There is something out there for everyone. I play in the men’s league and the fraternity league, two of the more competitive leagues. However, I noticed a huge jump in competition going from men’s league to fraternity league, as there is a lot more pride involved. While some people may worry that the competition may be too intense I would recommend intramurals for anyone who wants to try something new or to continue playing a sport they love. My men’s league team has a variety of players that range from members of the club soccer team to first-years who have never touched a soccer ball in their life. Intramural sports are a great way to meet new people. I would never have met some of my best friends if it were not for intramural sports. The games and teams give everyone a chance to meet and communicate with people that share the same interests as you. If none of this is good enough there is always that fact that intramurals is a great way to get some exercise. My name is Ella Borkowski and I am a third-year Echols Scholar double majoring in Linguistics and Foreign Affairs. I am an out-of-state student and hail from Connecticut. Outside of classes, I am the Vice-President of UN Women at UVA, a Language Consultant for VISAS and an avid traveler. One of my favorite things about UVA is the flexibility UVA allows its students, especially in its study abroad programs. UVA directly offers programs for direct credit during the fall semester, spring semester, summer term and January-term. When I applied to colleges, I knew that studying abroad was something I was really interested in. After doing some research and looking on the International Study Office’s website, I applied and was accepted to the UVA in Lyon Summer 2013 program, and it was one of the best experiences I have had at UVA. While every study abroad is different, mine was a language intensive program in French, in Lyon, France. I spent 6 weeks taking two upper level French courses while immersing myself in French culture and traveling around France. Below is a picture of Grenoble, France. I was able to experience French cuisine, and culture. I studied in Lyon, which is the gastronomic capital of France. It was a very different, and life changing experience. Overall, it was incredibly rewarding and I really improved my French! As a major in linguistics, I am really passionate about language and language learning. For me a program that allowed me to improve my French fluency was perfect. I should note that UVA offers programs that are taught in English. Whether you choose to study abroad or not, UVA offers a lot of flexibility and options. There are many resources available on Grounds to help you decide when and where to study abroad. Studying abroad is accessible for any UVA student. Bon voyage!